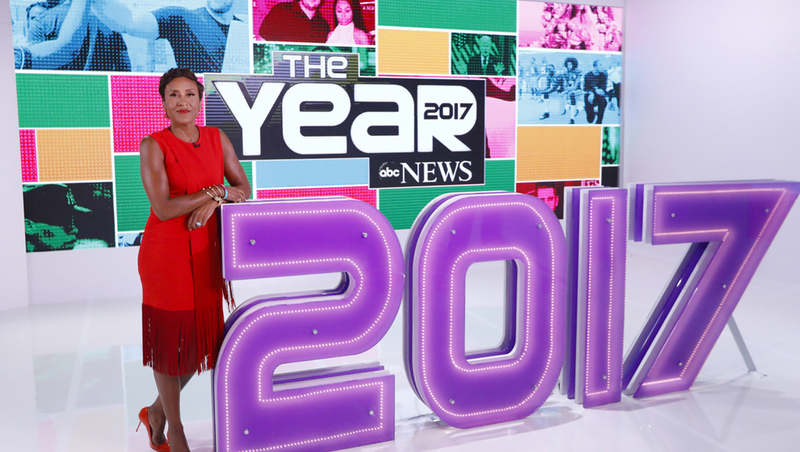 ABC News marked the end of 2017 with a special hosted by Robin Roberts that uses a transformed version of the “Good Morning America” Times Square Studios and giant light up numbers. 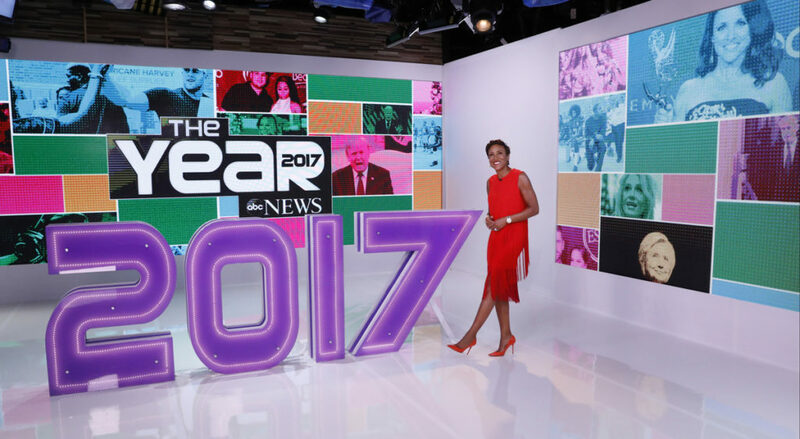 Roberts uses a corner of the “GMA” studio that’s been significantly redressed with slick white surfaces, but still taking advantage of the LED video walls in this area to display multicolored photographic collages for “The Year” special that aired Dec. 20, 2017. 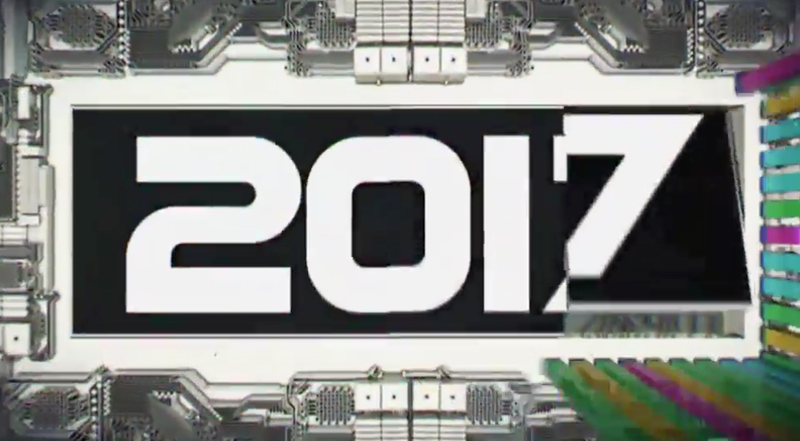 A similar look was carried through in the special’s graphics, which featured multicolored square grids complemented by metallic accents inspired by circuit boards. 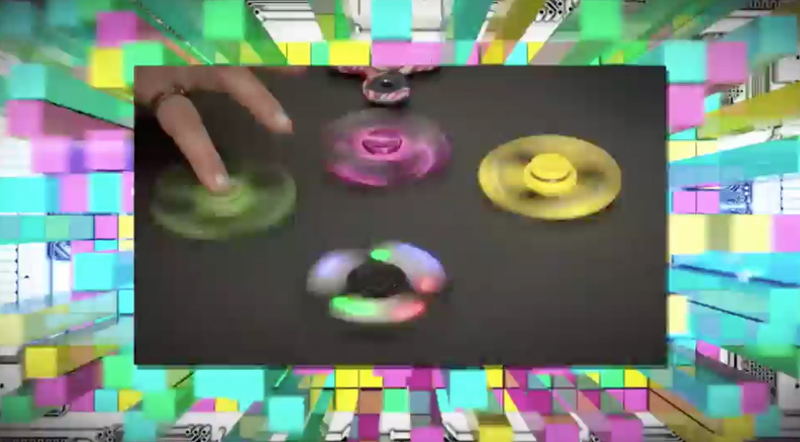 The shows’ graphics also feature a “glitch” effect and a fast editing style. In the middle of the studio space, meanwhile, are giant violet “2017” dimensional numbers that Roberts slowly walked around during her various in-studio segments. Speaking of giant numbers and letters, it seems ABC got a good deal on them — since “20/20” and “Live with Kelly and Ryan” both have giant renditions of their logos sitting on set.